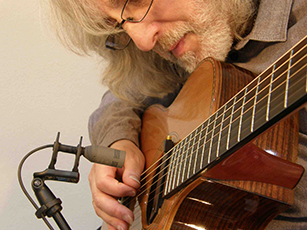 OK, within the pages of this blog, you’ll find many a piece dedicated to the best ways to mic up and record various instruments, and of course, my personal bug bear is miking up Acoustic Guitars. Well, here’s some news for anyone wanting to do just that. Y’see, the problem is guitarists. It’d be relatively easy to record a guitar if it weren’t for them. Swaying and shaking, grooving and stomping their feet, bless their little cotton socks, but it does mean they keep moving the guitar out of position/range of the microphones. Well, we’ve found the ultimate solution. This is the Gordon Giltrap signature model of the Exploraudio H-Clamp. 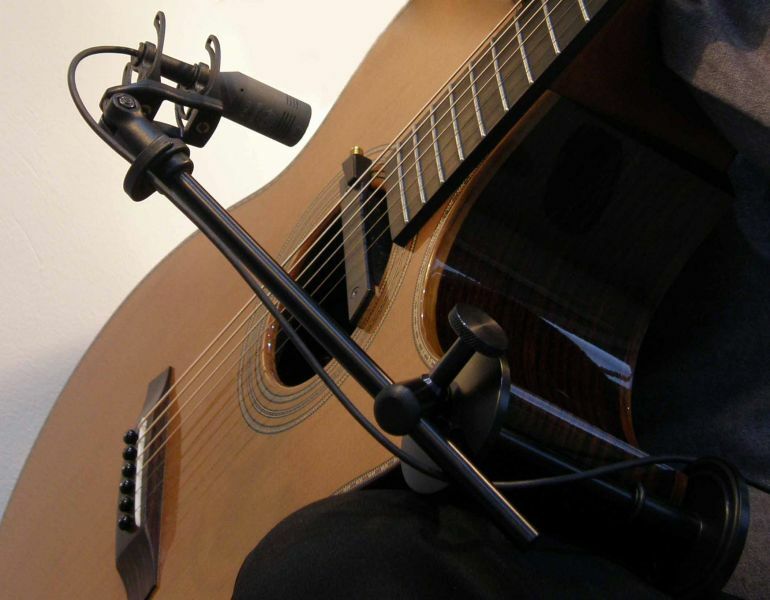 H-clamp InstruMounts allow almost any microphone to be attached safely and securely to almost any stringed instrument. They can also be attached to other instruments and sound equipment or even to furniture, square profile columns or beams. The standard models are designed to fit individual ‘classes’ of instruments (such as guitars, cellos or basses) but a package is also available to cover the entire range. The H-clamp is a novel development of the traditional design of instrument maker’s cramps, which are used during construction of the body to hold the panels together tightly while the glue sets. Adding a boom to the cramp allows almost any microphone (or other audio device or accessory that can be mounted on a microphone stand) to be attached securely without damaging the instrument or affecting its tonal quality. 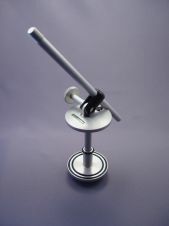 Aerospace-class materials and manufacturing techniques produce a light, rigid and robust mount for microphones up to at least 500g in weight. The Gordon Giltrap version is a limited edition and the first 10 come with an exclusive DVD featuring some of Gordons song’s. 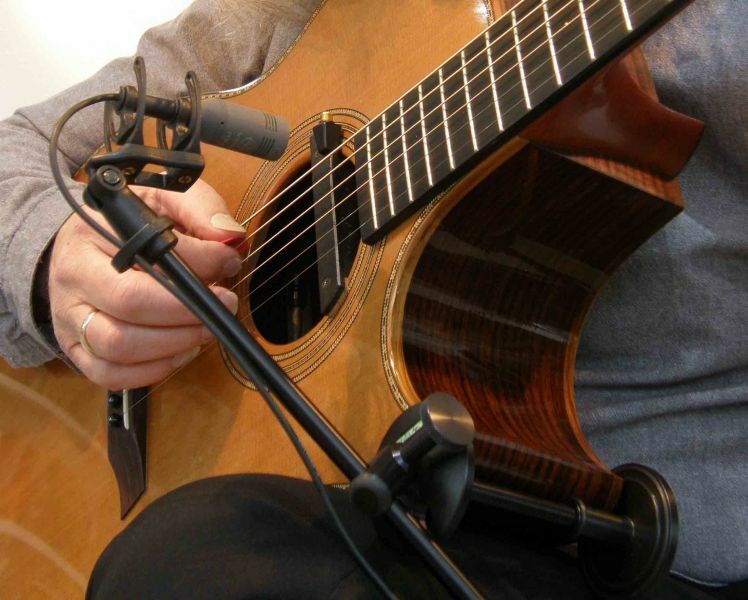 The Giltrap Signature H-clamp, designed to fit all the instruments Gordon plays, from electric guitars and ukuleles to large Jumbo guitars, is ideal for both live performance and studio recording. 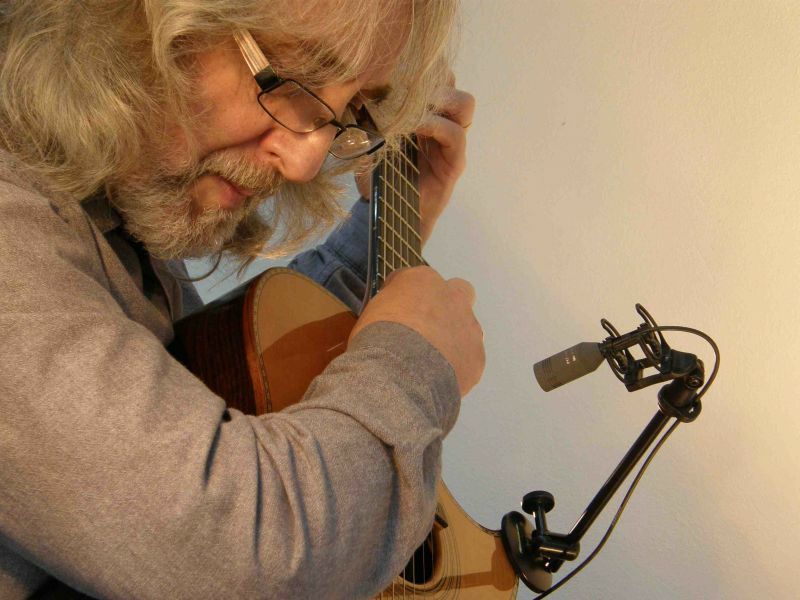 Gordon uses his H-clamp (teamed with a Schoeps CCM 4 mic) for all his acoustic recordings, including his highly successful new album with Oliver Wakeman, Ravens & Lullabies. Every so often, a product comes along that makes me very happy. If you need to record Acoustic Guitars, get yourself one of these. It’s gonna make your life so much easier. Previous PostDAW Benchmarks 2013 – What gives you the best performance for audio applications?Next PostYou couldn't write it…………..